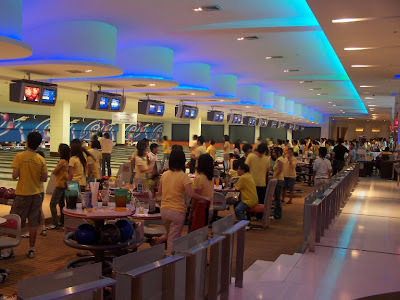 TISCO Foundation Bowling Tournament for the year 2007 held at Blu-0 Rhythm & Bowl Siam Paragon on October 13, 2007 to raise fund for needy students. Khun Kamchorn Sathirakul, Chairman, seen cutting ribbons for the opening ceremony. On September 26-27, 2007, the Manager and Staff of TISCO Foundation, have made a follow-up on progress of education fund granted to needy students of Technic Vithaya School, and Varatip Business College School, Bangkok, and visited some students’ houses. Khun Pattira Wattanawarangkul, Manager, presented daily knowledge posters to those schools.